Someone asks to learn more about your organization. Slightly unprepared, you start by explaining the things that are most concrete. The things you do. The things that can be seen. You discuss your programs and rattle off a list of services. But before you know it the person you’re speaking to is no longer making eye contact. Their eyes glaze over and you realize you’ve completely lost their attention. What went wrong, you wonder. They asked, didn’t they? Why weren’t they interested in your answer? As it turns out, you’ve made an all-too-common mistake. You started out with the features of your nonprofit when what the person really wanted to know was the benefits. I see nonprofits struggle with this all the time. After all, benefits are not always tangible. An emotion can be a benefit for crying out loud. Yet, it is essential that nonprofits have the ability to articulate the benefits of joining their cause. This is especially true when it comes to fundraising appeals. It’s not enough that your heart is in the right place. It’s not enough that there are people in need. And it’s certainly not enough to explain all of the intricate details of your solution to the problem. People need to understand the benefits. Without a clear understanding of the benefits of their potential contribution there is no way to assess the value of the contribution. How can they know if it is a good investment? Today I want to clarify the difference between a feature and a benefit and give you examples that will help you identify and better articulate your own benefits. I’ll also give you my number one tip on how to use features and benefits to make your fundraising appeals more effective. A feature is an attribute of your programs, products or services. It is a descriptive fact. A benefit is what the feature does. It is what the user gains as a result of the feature. Take a car’s airbag, for example. When a car company tells you that their car has an airbag, they are giving you a feature of the car. It is an observable trait. It is part of what you get when you buy the car. The benefit of the airbag is that it will keep you from smashing your face or chest into the steering wheel significantly increasing your ability to survive a car accident. Now, a savvy car salesperson will not just mention the feature of the airbag. They will be sure to discuss the dangers of the road and safety that the airbag provides. People don’t want the car just because it has an airbag. They want the safety and security that comes with knowing the airbag is there to save their life. Before writing any fundraising appeal first put some time into thinking through the features and benefits of what you have on offer. This will vary greatly depending on your organization, the types of programs and services you have, and what you intend to do with the money received from your campaign. But the best way to identify your features and benefits is to start by identifying all of the features. The most effective benefits will be those that strongly connect with the emotions of your target audience. F1: An annual subscription to their medical journal. F2: Discounted prices on association publications & events. F3: Access to online resources. Benefit of F1: Stay up-to-date on current research and practices that impact your field. Benefit of F2: Save money while accessing publications you buy anyway. Benefit of F3: Get convenient access, wherever you are, to online resources that will improve your knowledge and skills. Benefit of F4: Raise your profile and identify partnerships by expanding your network. F1: Donations will be used to feed and provide shelter to abandoned animals. F2: Donations will be used to purchase additional medical supplies needed to nurse abused and abandoned animals back to health. F3: Regular updates and stories from the organization will be sent to all donors. F4: Donations are tax deductible. Benefit of F1: They can feel good knowing that their contribution helped feed and provide shelter to hungry and homeless animals. Benefit of F2: They can be proud that their contribution will help heal sick and wounded animals. Benefit of F3: They will remain connected to the animals they helped heal and shelter by seeing photos and receiving updates on their progress. Benefit of F4: They will save some money by owing less to the IRS. Now that you have a solid understanding of the difference between features and benefits, and you’ve seen a few examples from the nonprofit sector, let’s look at how to use this information in your appeal. A common mistake in writing fundraising appeals is taking way too long to get to the benefits of making a contribution. When writing about our work and our organization, we often want to start by discussing our features. This information is important and should be included in your appeal, but it’s much more effective to explain the benefits first. By doing so, you will get your audience excited about making a contribution up front. Don’t make them listen to a long explanation of all your features before you give them any of the benefits. Why would they sit through and listen to all of your features if they still don’t know the value of making a contribution!? Their eyes will glaze over and you’ll lose them. Let people know the impact they will have, the difference they will make, the gains that they will receive first. This will peak their interest and get them excited to learn more about what you offer. Once you have them excited, then you can talk about your features. Now they have a reason to listen and to care about them. Now that they’re invested they will give you their full attention. Providing benefits before going into the details of the features will result in a much more effective fundraising appeal. Features are descriptive facts about your programs, products, and services. Benefits are what result from the features. They are what the user gains. Benefits are more effective than features at moving people to take action. 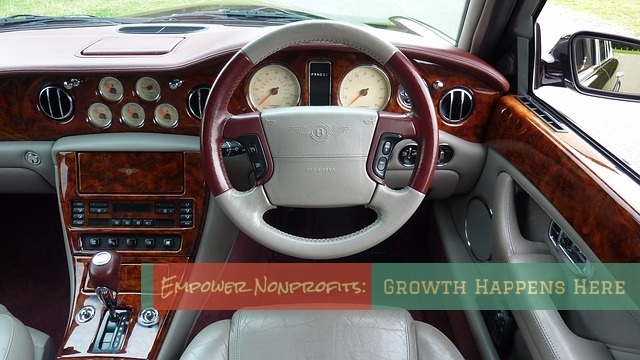 You need to understand the features and benefits of contributing to your nonprofit. To identify benefits, start by identifying the features. Then explore the benefits for each feature listed. In your appeal, start by explaining the benefits then discuss the features.